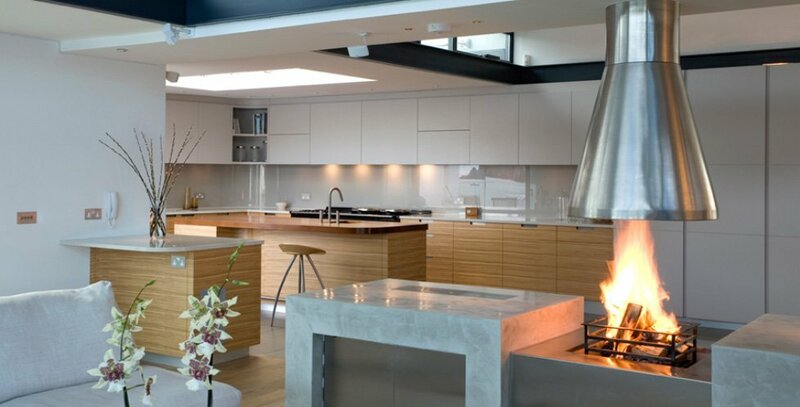 Many of our London clients have second homes in Devon, and Artichoke is fortunate to have been asked for its bespoke kitchen design services for many of them. As many of the kitchen projects are in holiday homes, clients are often happy to be less formal with the kitchen designs we put forward. We have undertaken projects on the coast and rivers near Dittisham, Salcome, Thurlestone, Cornworthy, Tuckenhay and Ashprington. A particularly challenging project was for a contemporary house in Dartmouth where our bespoke kitchen had to be delivered to the house by barge. More recently we have designed a traditional period kitchen for a Grade 1 listed manor house on Dartmoor with strong links to Sir Edwin Lutyens. Architecture in Devon can vary quite dramatically, principally due to the past nature of its inhabitants which were largely landowners or land/sea workers in Georgian times. Inland, many of its larger houses are period in nature with varying grades of grandeur, from grand houses such as Powderham Castle (which is really a fortified manor house) and Ugbrooke, to Chambercombe Manor, a Norman manor considered more typical of Devon’s rural vernacular. On the coast and river inlets, areas which now attract holiday makers, houses can be more contemporary; planners seem to be a little less restrictive in these areas. Artichoke has designed numerous kitchens for houses overlooking rivers around Dartmouth, and all have been of modern design. View our portfolio to see more examples of our bespoke kitchens in Devon, or contact us to discuss your project in more detail.